MFM 92.6 Live Streaming Online . 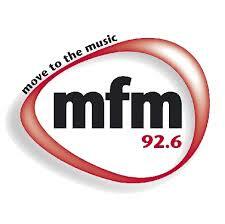 MFM 92.6 radio is an independent radio station, situated on the campus of the University of Stellenbosch , South Africa . MFM Radio offers alternative to the monotony of conservative mainstream radio stations , In-touch with and part of the community, MFM knows its listeners intimately and is a welcome and familiar sound in homes, offices and automobiles throughout our broadcast area . It plays a mixture of all the top Pop, Hip Hop, Rock, Dance and Indie. MFM 92.6 cater for 16-28 year olds and have an amazing lineup of funky, young and trendy presenters . Upper level , Langenhoven Student Centre , Merriman Avenue , Stellenbosch , 7600 . P.O. Box 3426 , Matieland , 7602 .